One of the most interesting thing about us is the fact that we have a supercomputer at our disposal, and we don’t know how to use it. We are both, the showmen, the illusionists on stage creating tricks and illusions, and the audience, the people believing in these tricks. Our mind is the supercomputer. It’s the tool we have to create illusions, to construct our own reality. But we let it run on automatic. So it generates illusions and it projects these illusions upon the world. Most of these illusions are negative because they are driven by our emotions. We forget that we can control these illusions. And you paint a negative reality for yourself while you have the power to paint whatever you want. Your mind projects meaning, frames upon things to give them a context, a place within your story. But you can control their frames, it’s your mind. First, decrease the negative frame’s intensity. Let’s say you go to the supermarket to get some milk. But as you get to the milk aisle the person in front of you already has the last milk. You might get angry at them, you might think that something is against you. But it’s just your mind projecting meaning to this event. This person might need this milk for his sick mother, or they might have saved money all month to get this milk. Maybe this something you think is against you is protecting you from getting an expired milk that might make you sick. These scenarios can be as equally plausible as the one your mind projects, that something is against you. So use this power. Instead of creating a reality where you feel bad, create a reality where you are empowered. Create positive reframes about a triggering situation. Some answers will arise but since your emotions are strong you’ll still be upset, it’ll feel like you are forcing yourself to create positive from negative. Just remember that what you project on the scenario is the same kind of illusion as these things. You have no idea what it really goes on behind the curtain. Everything you think is a theory. This awareness will decrease the negative frame intensity. Now you can reshape a positive frame. When the negative frame’s intensity is decreased you can reshape it into a scenario with a more positive meaning. You can do this because you are aware that what you project upon a neutral scenario is a mental illusion. Truth be told, you have no idea about every single variable in play. So the positive frame you consciously try to project can be equally plausible. Just think about how this event can be helping you, how it can push you toward becoming a better self, how the other people might be more in need. The moment you try to create a positive reframe it will be hard. At first it might seem like you cannot think of anything. But keep doing it. Sooner or later you will think of an equally plausible frame that can apply to this scenario that creates a positive and empowering for you. Use this tool for more than just triggering events. 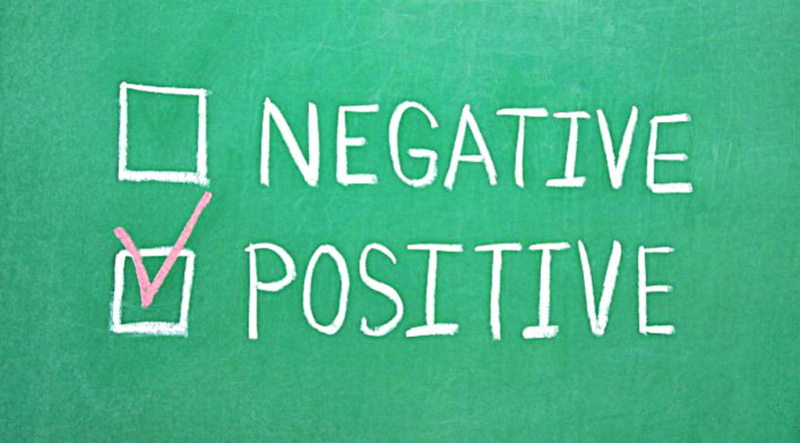 You can use positive reframes for proactive reasons not just reframing negative events. You can use it like a tool for reshaping your reality. There are three main ways you can use it. The first one, as we said, is reframing negative scenarios that happened into positive. The second way you can use it is to make yourself inspired and excited for things that you need to do but you think they will be hard work. Writing those 50 emails can be fun, cleaning can be fun, going for an exercise can be fun, cooking can be fun. Just reframe the negativity you project upon these things. If the sole thought of answering 50 emails brings negative emotions question it. How do you know it’s going to be hard? Are there harder things you can do? How can you make answering 50 emails joyful and fun? What if when you clean you put on your favorite playlist? What if you find something interesting you forgot you even have? What if you challenge yourself as if you are playing a game when you go to exercise? What if you do a new and more fun type of exercise? How can you make your cooking be fun? Can you learn a new cooking skill? Can you post a fun video on social media? Maybe you can experiment? Simply by asking yourself these questions these tasks that you need to do seem lighter, more fun. Think about this. It was all an illusion. And the third way you can use this tool is to reframe negative scenarios that you think might happen. If your mind starts to think of ways how something might go bad, stop for a moment. Become aware. And think of how can these things go right.